Long ago, Carl Feldman was acquitted of murder. Now he lives alone in Texas with a few fading memories. Until the day his daughter arrives and takes him away. Only she’s not his daughter . . . This woman is sure Carl’s a murderer, and that he’s killed others. Now they’re visiting old crime scenes to see if Carl remembers any of it. To discover what happened to Rachel. Has Carl really forgotten what he did or is he only pretending? Has this young woman made a terrible mistake? Because if Carl really is a serial killer, she’s in a very bad place . . . I loved reading Black Eyed Susans so it was a natural choice to want to read this book. 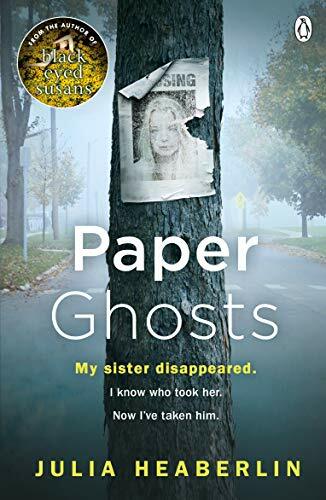 I thought Paper Ghosts was a strange title but it is perfect for the story. The posters are the only thing left as reminders that the missing person hasn’t been found. Each fading in time until there isn’t anything left but a ghostly faded shape. Carl Feldman’s mind isn’t as sharp as it use to be and I understood that he had dementia but when a young woman turns up and tells his carers that she is his daughter he knows that she isn’t. She strikes up a deal with him to get him away on take part in a road trip with her visiting places that are in the photos he most treasured. His mind is bright enough to make a deal with her and my heckles come up. Just how much does this man know. This man who stood trial for the murder of young women and walked away free. This is quite a macabre journey, as she is the sister of one of the girls in the pictures that has never been found. She tries to jog Carl’s memory with walk throughs of how the girls were believed to have been taken. At first I was like, ‘What are you doing with this killer?’, would he try to kill her?, had he really killed all these girls? And just how much did he really remember? But Grace had a callous streak too. Just how far would she push him? Some of the chapters began with eerie photos from Carl’s collection. The pictures seemed to be the key. This is a tight tension story where I felt that I was walking on egg shells all the time. It was pure anticipation of something is going to give on this page, or the next, or the next. She was holding so much back from him but I couldn’t make my mind up if Carl really didn’t know much or if he had dementia and really didn’t know anything anymore. A clever story. Not a heart in your mouth read but a couple of looks over my shoulder as I felt so uneasy. I wish to thank NetGalley and Michael Joseph Books for an e-copy of this book which I have reviewed honestly. Julia Heaberlin is the author of the critically acclaimed international bestseller Black Eyed-Susans and Paper Ghosts, her newest crime novel set in the moody landscape of Texas where she grew up. Heaberlin’s psychological thrillers, all set in her home state, have sold to more than twenty countries. She is also the author of the critically acclaimed Playing Dead and Lie Still. 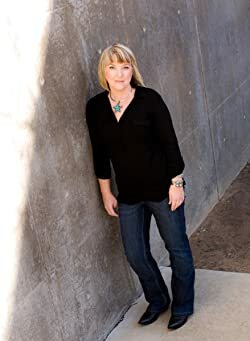 As a journalist, she worked in features as an award-winning editor at Fort Worth Star-Telegram, the Detroit News and The Dallas Morning News and has always been especially interested in true crime and how events play out years later. The Star-Telegram Life & Arts section was named one of the Top 10 sections in the country during her tenure as its editor. Heaberlin lives in the Dallas/Fort Worth area where she is at work on her next novel. Much more my kind of read than a terrifying one!